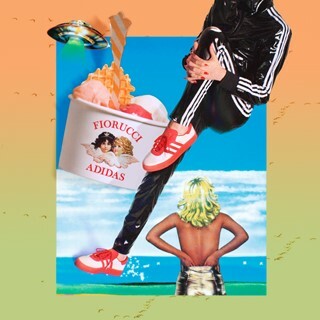 adidas Originals and Italian fashion label, Fiorucci have joined forces through a new creative collaboration celebrating the authentic style, inclusivity and infectious optimism of both brands. Delivering a bold, playful and energetic collection for the female consumer, the collaboration brings together two brands that share a legacy of iconic design and immense cultural significance. 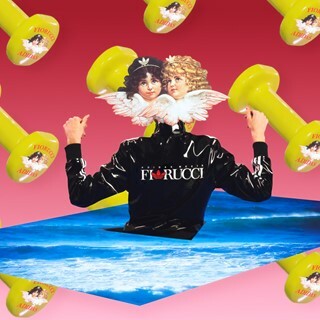 Perhaps most known for its cultural dominance during the 80s, Fiorucci’s resurgence, following its global re-launch in 2017, has been powered by iconic graphics that project aspiration, yet remain fiercely inclusive. 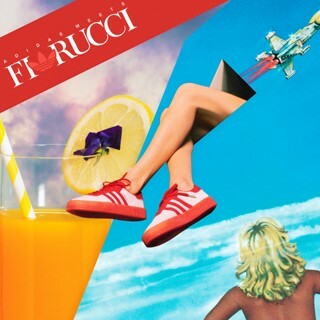 Today, the Fiorucci graphic archive remains at the pinnacle of innovative design, continually reinventing its aesthetic language to capture the contemporary zeitgeist. 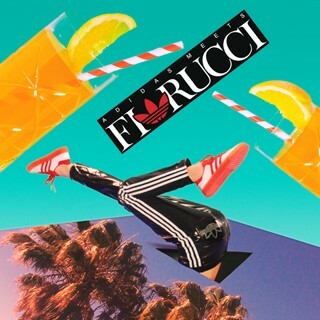 Aligning naturally with adidas Originals’ commitment to championing youth culture and promoting togetherness, Fiorucci’s brand ethos evokes unbridled optimism and inclusivity, whilst simultaneously evoking a playful energy and a sense of joy. As such, an emphasis on authenticity punctuates the collection, with both brands bringing their unique design ethos to the table. Comprised of a host of standout items, the first limited edition release of the collaborative collection is a nod towards both institutions’ iconic emblems. 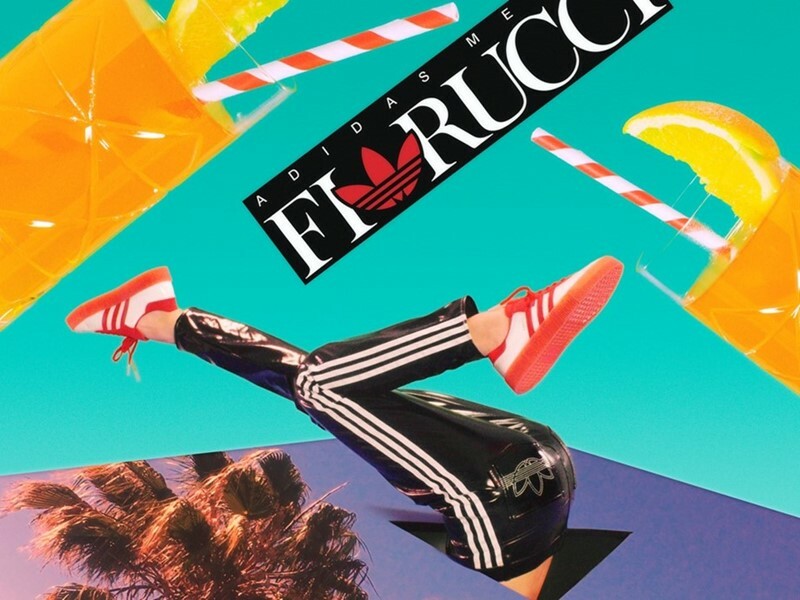 Featuring iconic graphics throughout, the apparel offering is made-up of a playful black vinyl twist on the classic adidas Firebird two piece tracksuit, a t-shirt bearing the instantly recognisable Fiorucci angel, and a striped red sweater. This is all capped off by a mandatory pair of striped Samba Rose sneakers in a cream and red colourway. Supporting the collection is a bold campaign shot by Jean-Pacôme Dedieu. Maintaining a firm belief in keeping his own cool amid creative chaos, Dedieu employs a laid-back and collected philosophy to his work. Featuring collage style graphics, bright colours, and iconic imagery, the campaign is an homage to the past, present, and future of both brands, celebrating femininity and championing a quintessential playful attitude. 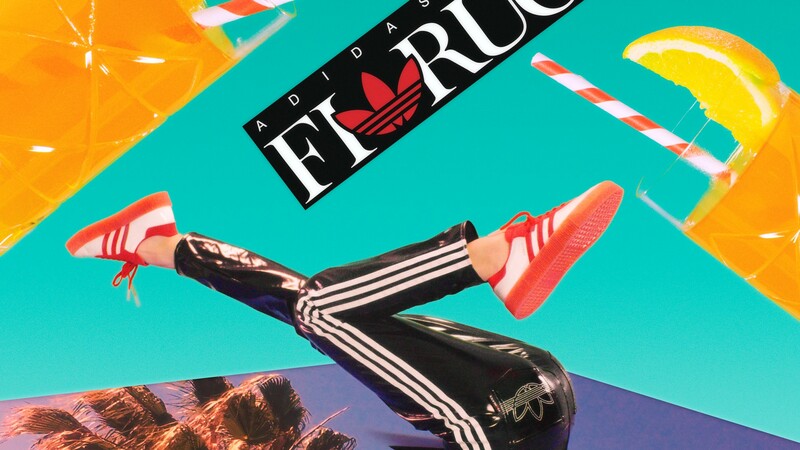 A joyful coming together of two like-minded brands, the adidas Originals and Fiorucci collaborative collection seeks to redefine style for a new generation of empowered females. 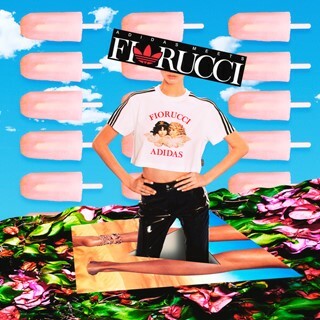 The adidas Meets Fiorucci collection will be available globally on February 15th.